24 months or 24,000 miles locally or within the 25 mile range will be handled in house. 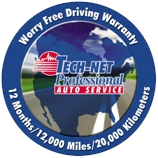 36 months or 36,000 miles, whichever comes first when traveling more than 25 miles / 40 kilometers from the original TECH-NET PROFESSIONAL AUTO SERVICE® repair facility. 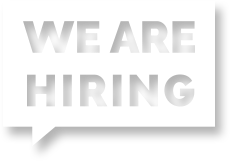 In the event you need assistance on a warranty related repair when traveling beyond 25 miles / 40 kilometers from the original service facility, the warranty program administrator will direct you to the nearest in-network service facility to handle the warranty related repair. You can callus and we will get you the information you need for out of town warranty issues. Ask for complete warranty coverage information and details on your next service visit.